Lookstein Virtual Jewish Academy- > Blog > Online Jewish Learning > Blended Learning: A Solution to the Day School Tuition Crisis? 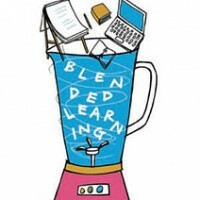 Russel rejects the unproven arguments negating the efficacy of blended learning, i.e., their alleged ability to improve the learning of our students, and their efficiency, i.e., their ability to allegedly save money by putting teachers out of work. Regarding their efficacy: Study after study continue to suggest that while there may be some promise to these approaches, they have not proven t be any more effective at actually increasing student achievement at a K-12 level than “traditional” learning. (See “Evaluation of Evidence-Based Practices in Online Learning: A Meta-Analysis and Review of Online Learning Studies” for a review on the relevant research from 1996-2008.) A recently released National Education Policy Center report, “New Interest, Old Rhetoric, Limited Results and the Need for a New Direction for Computer-Mediated Learning” fills in the gaps for the most recent years. Chana counters by quoting from the same study: “In recent experimental and quasi-experimental studies contrasting blends of online and face-to-face instruction with conventional face-to-face classes, blended instruction has been more effective, providing a rationale for the effort required to design and implement blended approaches. Even when used by itself, online learning appears to offer a modest advantage over conventional classroom instruction.” The article then goes on to list several caveats, which are relevant, although the bottom line is still the bottom line: online learning is more effective than face-to-face instruction. She invites Russel to read her article “What Jewish Educational Leaders Need to Know about Online Education.” She is also wary about any edtech trend that is going to “save” K-12 education. Read the rest of the article here.